Are you aware the ophthalmic market is expected to reach $21 billion by the year 2022? Ocular disease therapy has seen a surge in innovation in areas ranging from glaucoma to macular degeneration and diabetic retinopathy. 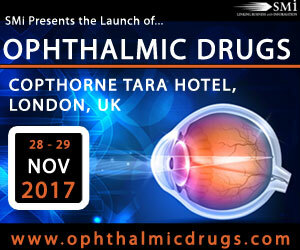 Featuring an exceptional line-up of keynote speakers from industry leading organisations, Europe’s leading conference on Ophthalmic Drugs arrives at the perfect time to discuss the latest approaches in key areas such as ocular diseases, drug delivery, pre-clinical and clinical trials, computer technologies and therapies for diabetic macular oedema. Agenda highlights will include a spotlight on therapies for glaucoma, diabetes and approaches to drug release and delivery.